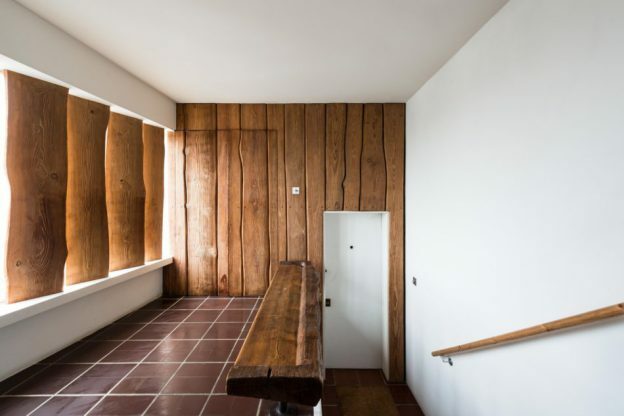 lubetkin’s house. | owl's house london. 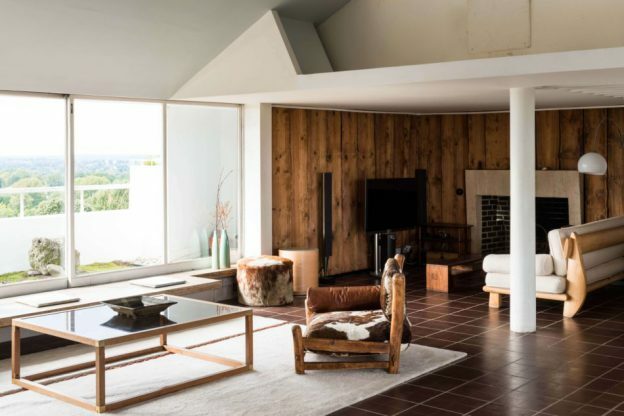 If you’re the architect of one of the best examples of modernist architecture in this country, then chances are your own apartment – in the same building – is going to be fabulous. 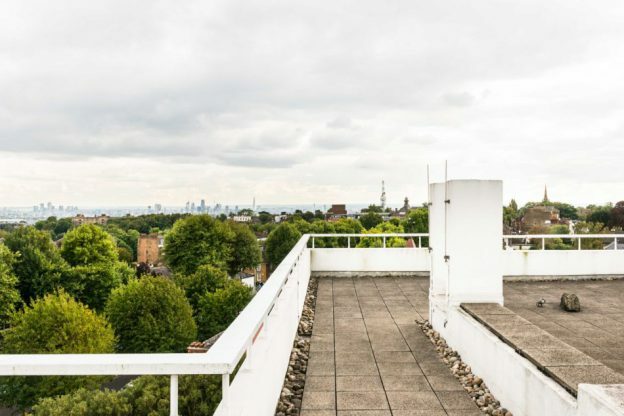 Berthold Lubetkin designed this penthouse as this own home, set atop Highpoint II (Highpoint I had been designed 3 years earlier in 1935) with its panoramic views across London and afar. I wrote about Highpoint I previously, here. A striking entrance lobby sets the scene, with tiled floor, richly textured, timber-board cladding (a gib door leads to a cloakroom behind), and thick, vertical louvres of sand-blasted Norwegian pine. These striking finishes are bold, almost rustic, an unusual choice within the refined and elegant building. But they are contained, and as such are not allowed to dominate. The views beyond remain the scene-stealer. The main space is rectilinear, open plan and 12 metres long. A barrel vaulted ceiling forms the double-height space, with lengths of fully retractable glazing extending along both walls. 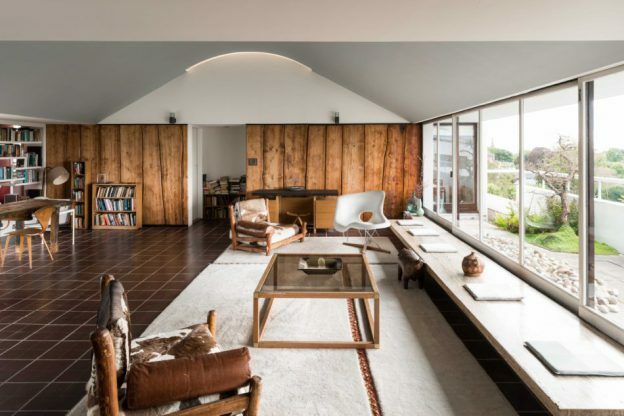 The rich, dark tiled floor contrasts with the white walls and window surrounds; then, more rough-hewn, wide boards of timber clad the walls vertically in the low-ceilinged snug at one end. A slab of creamy travertine beneath the windows on one side forms a continuous seat, the terrace beckoning beyond. 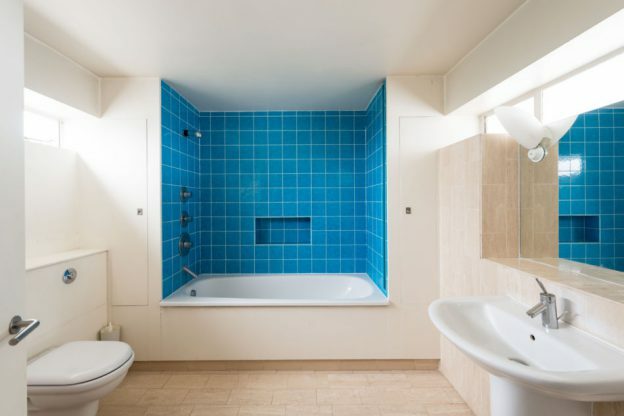 Elsewhere, walls are white and bare, and colour is used boldly but sparingly in tiles and feature walls. The penthouse is for sale on The Modern house, here. A Grade 1 listing means that the owner is unable to alter the apartment, but then, why would you want to? 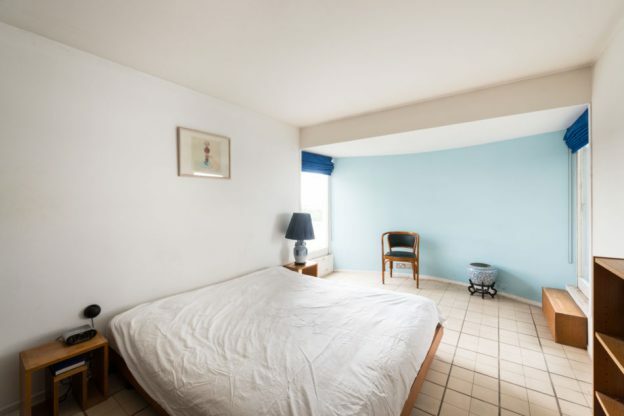 The Lubetkin Penthouse, Highpoint II, London, N6. More, here. This entry was posted in wonderful spaces. 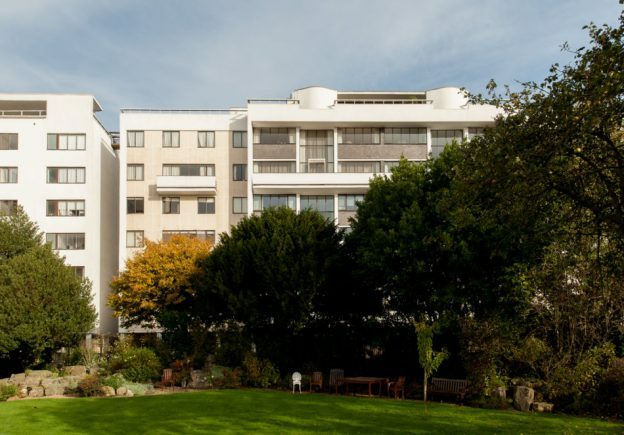 and tagged Berthold Lubetkin, Highpoint, Modernism, Modernist on October 9, 2017 by owls house london..